JNR Plumbing LLC strives to provide 5-star plumbing services that do not disappoint. We guarantee customer satisfaction and are happy to assist in offering long-lasting, reliable solutions to your plumbing problems. 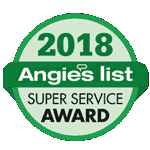 Our team of professional plumbers have over 50 years of experience in supplying high quality service to Stamford’s surrounding local areas including Darien, New Canaan, Norwalk, Westport and Wilton. At JNR Plumbing LLC, we value your best interest and encourage our customers in Connecticut to trust us in assessing your property. By utilizing advanced technology and having a team of friendly, trustworthy professionals, we are capable of handling any of your plumbing issues in the most time and cost-effective manner. Here is a list of just some of the plumbing services we offer. Our team of trained technicians are happy to help local home and business owners in Connecticut take care of your property’s plumbing systems. At JNR Plumbing LLC we know your drains are valuable in the wellbeing and efficient functionality of your property, so we want to help you in detecting early warning signs that your drains need to be professionally cleaned. Here are some common indications that your pipes could be suffering from water leaks or debris buildup. At JNR Plumbing LLC we offer a couple different methods of cleaning your drains and protecting your pipes from excessive amounts of debris such as hair, food waste, grease, and soap scum. Hydro jetting is when we stream high pressurized water into your pipes in order for blockages to be flushed away and properly removed from your drains. However, our team of plumbing professionals primarily utilize the snaking method by navigating a hose through your pipes. This hose has an attached nozzle that breaks up the backed-up debris into particles that can be easily cleared out of the way. This traditional plumbing technique dislodges anything blocking your drains from flowing and functioning properly. Both commercial and residential drains are used constantly every day, so it is important to remember that they need to be able to function effectively and efficiently since they are part of the prominent foundation to a strong, healthy plumbing system. We recommend our customers in Connecticut to take the preventive measures in actively protecting your home or business by regularly scheduling drain cleaning services. Our team of plumbing professionals are capable of helping you effectively maintain and restore your drains so that your property runs less risks of flooding and property damage. If drains are left unkempt, worse issues like pipe breaks and sewage overflow could occur. Call us today so that you can safeguard your property from future plumbing disasters and assure a sustainable, safe future for your home or business.